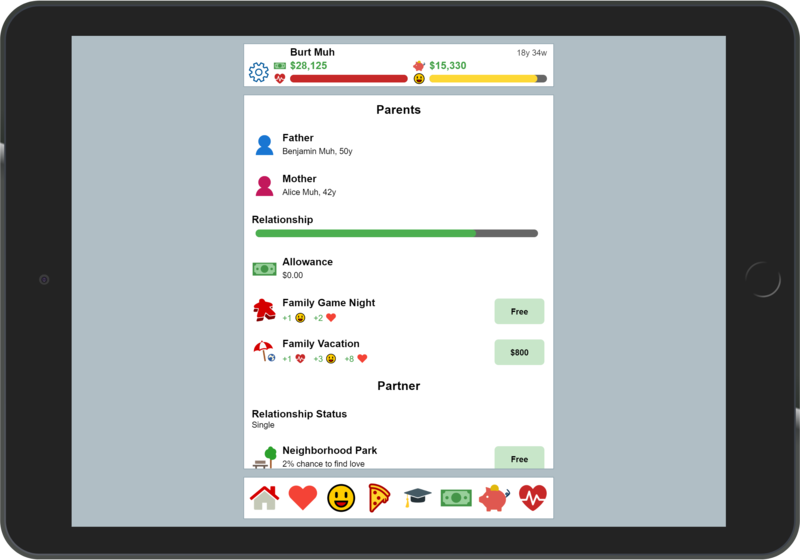 Now available for virtually every platform, My Life is a brand new free life simulation game from Ape Apps! In My Life, you begin as a child and play your way through to your death. The choices and decisions you make along the way will impact how your life plays out. Will you go to school? How much school will you go to? This will impact what kind of jobs you can work and what kind of living you will make. Will you spend time with your family? Start a family of your own? This will impact your happiness and well being. What kind of diet will you eat? Where will you live? Will you get married? How much money will you save? All if these decisions will impact how long you live and how your life turns out! This is an ultimate casual game that anybody can enjoy and, using your Ape Apps Account, your saved game will sync with you no matter what device you are playing on. The game includes different starting scenarios offering varying levels of difficulty. The only question now is: how will you life your life? I've tried this one. I think I need some strategy hints, because what I've been trying hasn't been working.